The UK government isn't going to fine Sony for the compromised PSN data, but that doesn't mean it's gotten away scot-free. UK culture minister Ed Vaizey has warned Sony that it must be more mindful of online security with the PlayStation Network. He said that as Sony - and other companies too - starting migrated to online services and products, data protection would have to become their top priority. 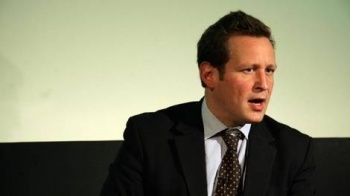 However, Vaizey - who has previously championed the videogame industry in parliament - said that the UK government would not interfere in the Information Commissioner's Office's - an independent UK body designed to uphold information rights and personal privacy - investigation into the outages, and would allow the ICO to decide if a fine was warranted on its own. "The Information Commission has been given new powers to issue fines where necessary," he said. "I know the ICO has been in touch with Sony and clearly this is a huge issue, Sony getting hacked and people's data being stolen." Vaizey remained tight-lipped about any possible further repercussions for Sony for allowing so much personal data to be compromised. He did say, however, that any potential reimbursement or restitution was a matter for Sony to figure out, and the government would not force the company to do anything. Sony has already detailed its "make good" package for PSN, which includes free games and a free 30-day subscription to PlayStation Plus, although whether that will be sufficient to entice people back remains to be seen.